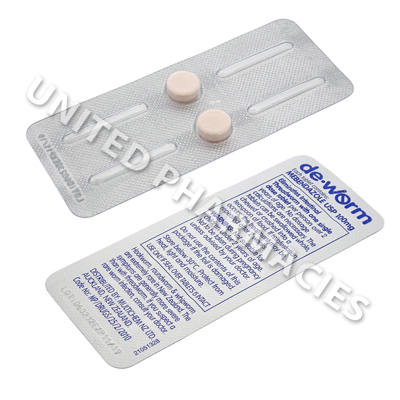 Deworm (Mebendazole), an antiworm medication, kills parasites. It is used to treat roundworm, hookworm, pinworm, whipworm, and other worm infections. DeWorm (Mebendazole) tablets contain the active ingredient Mebendazole, which is a type of medicine called an anthelmintic. It is used to treat certain types of worm infections of the gut. 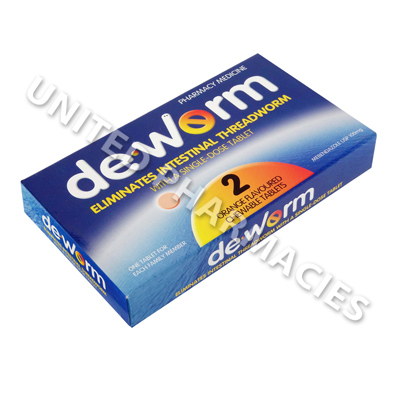 Strictly follow all instructions provided to you by your physician or pharmacist while using DeWorm. Optimum and safe dosage can differ based on the patient and the condition being treated. A single dose consisting of one tablet is usually all that is needed, but a second dose can be taken after two weeks if the infection comes back. It is recommended that the whole family are treated at the same time. 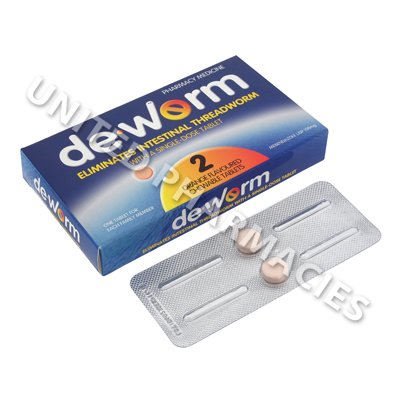 As DeWorm may be unsafe for certain patients, it is essential you always inform your physician if you are pregnant or breastfeeding, as well as if you have any allergies, other illnesses, or ongoing health conditions, and if you are taking any other form of medication, supplements, or herbal products.